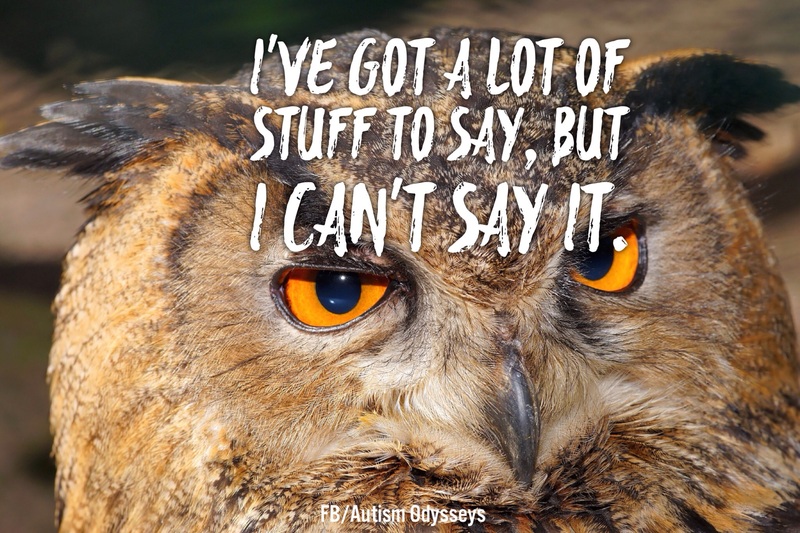 It’s been a year and a half since I started my Facebook page Autism Odysseys, and a year since I started this blog. I have some unique experiences as a parent of identical twin boys who both have received an autism diagnosis at age 3 – and 2 daughters who fall into the “females present differently than males” category. I have a lot to say, but I am finding it next to impossible to write about it. Why? Because of my children. I’m having a difficult time detailing our experience, because I feel like I am violating their privacy. I keep thinking ahead to the future, and how they would feel if a blog post about repeated attempts to potty train them was seen by a future employer or a date? I still cringe from when my parents busted out the middle school bad perm pictures to dates during high school and college. The point was really driven home when The Mighty issued a writing challenge in September to write an open letter to those who didn’t take your child’s sensory issues seriously. At first, I was like, “yes! I’ve got this”! Then, I started to write, and once again had that feeling in my stomach that I was writing about something I really didn’t have a right to. Sharing details of my sons food aversions and sensory seeking behavior didn’t feel right. So, like the 20 or so other blog posts I have started, I abandoned it after a few paragraphs. The only things I manage to finish are “fluffy pieces” that don’t require me to share a lot of personal detail. My kids range in age from 8-13 and would be considered on the higher functioning side (if a label had to be assigned.) We have experienced a lot in our house – I really think our stories could be of value to others beginning their journey. It’s also therapeutic for me to write about my experiences. Add to that, they have all given permission for me to write about them for awareness purposes – to help others understand. That should be significant enough to allow me to recount our experiences, right? That’s going to be a NO. Even though they have encouraged me to write about them, I feel that they can’t possibly understand the present and future repercussions that could arise from me sharing intimate details of their struggles and triumphs. I am their mother, it’s my responsibility to protect them from harm and anything I write about has the potential to affect them throughout their life. I know that they will face additional challenges trying to find their place in the world as they get older – so, who am I to do something that has the potential to bring even more angst to their lives? I have learned a lot from others sharing their experiences with their children and I am thankful that they did share. I am telling this from my personal perspective and I’m not judging anyone else for what they share, because my shoes are the only ones I walk in. There are some fantastic pages/blogs that give followers a holistic view of autism which helps explain the context around meltdowns etc.. I also love reading about experiences from autistic adults – their voice is the most important (in my opinion). My kids will be autistic adults one day and learning from those paving the way is invaluable. In fact, I hope my kids will want to write about their own experiences to help others. Until that time though, I’m going to respect that they have a right to privacy in regards to my blog. I’ll make sure they have plenty else to complain about me doing to “ruin their lives” when they are adults (like the continuing YouTube ban). I’ll also continue writing non-TMI blog posts and meme’ing the realities of our lives. Yep, it’s going to be all about me…I’ll have to channel my inner narcissist.